Obit Dr Bernard L Peuto, the architect of the Zilog Z8000 processor has died. The Z8000 was the big brother of the 8-bit Z80, used in the first wave of low cost microcomputers like the Spectrum and TRS80, though it had a starring role in its own right. As a 16-bit CPU it powered several Unix systems, including those from Commodore, Olivetti and Onyx, as well as Zilog's own System 8000 machines. Astonishingly, the ambitious project began in early 1976, long before the personal workstation was a market. As Peuto later recalled* at an oral history panel at Silicon Valley's Computer History Museum on the development and promotion of the Zilog Z8000 microprocessor: "Now it was extraordinary that we took this gamble to decide that we had to have features that were computer-oriented in a context of a microprocessor design because at the time there were people that thought that microprocessors were logic replacement." Dr Peuto graduated in Paris and completed PhDs at Berkeley in 1969 and 1974. He joined Zilog in 1976, and for the next six years managed 120 component products. He led the design of the MMU, Z Bus, and the Z8. He founded ViewTech in 1984 and led the SPARC graphic team at Sun Microsystems from 1987 to 1991. He was later a member of the executive committee of the Computer History Museum. Dr Peuto was badly injured at a road intersection in San Francisco some years ago. So how did Zilog fail to capitalise on the massive popularity of its Z80 chip? Unfortunately the 16-bit product was incompatible with the junior sibling. And 14 months after the release of the Z8000, Motorola released the 68000, which was squeezed between Intel and Motorola. Zilog was unable to seize leadership of the industry. IBM had anointed Intel as the chipmaker for its PC, and of the rivals, only Motorola had real scale. Peuto noted: "We were a tiny, little company having made sets of decisions on the Z80 that made it a roaring success and we're now confronted with two companies that were much, much larger than we are." Co-founder Ralph Ungermann left in 1979. Oil giant Exxon Corporation, which had provided the first major investment in the startup in 1974, bought the company outright in 1982. According to Federico Faggin, Exxon's involvement made it less appealing to IBM. "IBM could invest in Intel which they couldn't do in Zilog because of Exxon," he said. "Exxon essentially choked us with money. They basically gave us too much money and too many directions, which we then kind of went into and in some sense there are times where you have to refuse and that's very hard to do when somebody gives you dollars. But the reality was the reason we were doing too many things is because we could afford to do it because Exxon was kind of giving us the check. That's my personal view. The elephant [had grown too] complex." You can read a case history of the chip's design here (free registration required, though). * There's a splendid panel discussion on how the Z8000 was created here (PDF). 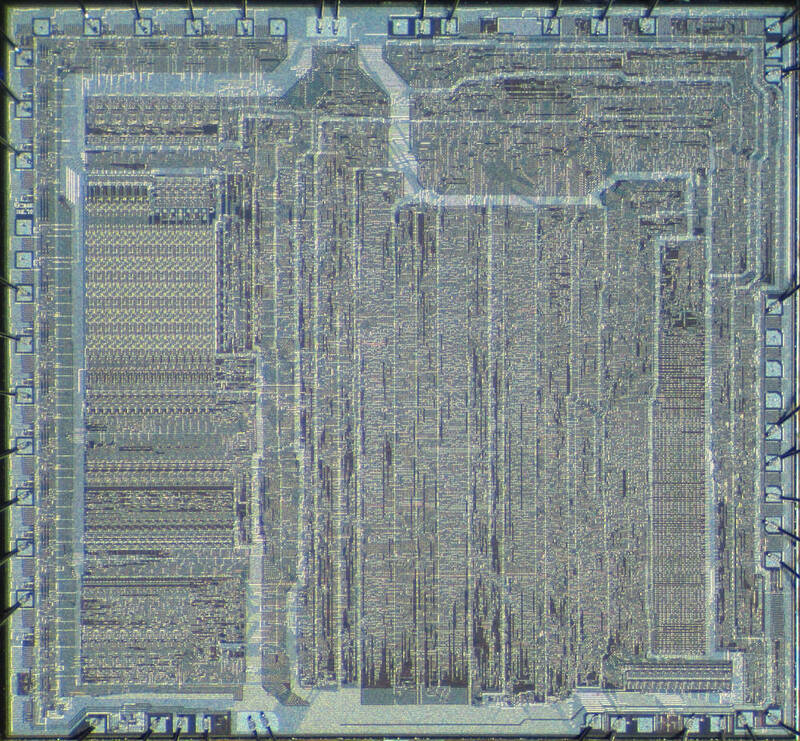 Chaps make working 6502 CPU by hand. Because why not?